Consider the way plants grow: they absorb water and minerals through their roots, and then transport them all the way up to their leaves where photosynthesis occurs, and energy is created. The roots anchor the plant into the soil, discern which molecules will enter the plant, and produce defense compounds to ensure the survival of the plant. When the root is compromised, the entire plant fails to thrive. Roots are the plant’s gatekeepers for fluid and nutrients. They are like the bouncers at the club who decide who may or may not attend the party of photosynthesis. Nutrients are the VIP club goers, and the root must receive them very graciously with an “open door” policy. In fact, the hydration of the entire plant is directly related to the root’s ability to receive nutrients; only once the root is chock full of minerals are the reclusive fluids in the soil finally coaxed into the plant through root pressure. Once this root pressure develops, the club gates swing open, and the fluids and nutrients are propelled up the stem to attend the photosynthesis party. When the party is over, all the sugary bling created through photosynthesis is then transported back to the roots where it is stored. Lucky roots. 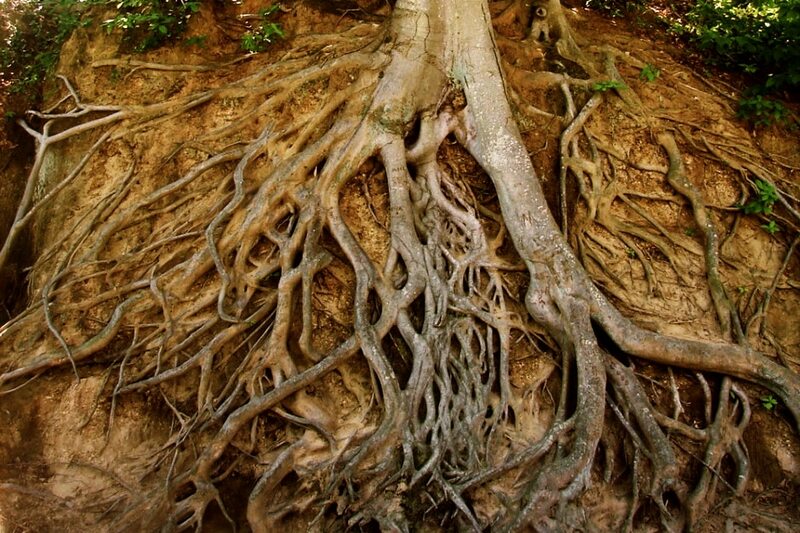 However, these roots are only “lucky” because they are in alignment with the flow of nature. They are tuned into their natural place in the universe, and have fully embraced the nature of their work. Roots have embraced the fact that they are roots, they easily receive fluids and nutrients, and they protect and maintain their infrastructure for storing carbohydrates, the riches of the plant. In nature, the root’s ability to receive nutrients and fluids is directly related to the plant’s ability to thrive. Only once the root is overflowing with nutrients, does the plant begin to care for itself (create energy), and then only once it has adequately cared for itself, does it create and share it’s medicine (sap, leaves, flowers, roots) for us all to enjoy. As an integral part of nature, humans must also adhere to this law of the universe: we must receive before we are able to give. Receiving may seem like a revolutionary idea. Our western culture prides itself on the merits of giving. We are coerced into believing that giving is always a highly virtuous act, and that any form of receiving must be avoided, or else accepted with a pious, self-deprecating reluctance. Our conditioning tells us that giving is generous and spiritual, and receiving is greedy and selfish. We are taught to crave material goods and societal approval in order to fill the void created from years of neglecting the gifts of the universe. When our bellies are full, but our souls are starving, then we are not living in alignment with nature. The word abundance comes from the Latin word abundantia, which means ‘fullness’ or ‘to overflow.’ In nature, giving is the natural overflow that occurs once we have received what we need; a river spills over to nourish it’s banks once it is full to the brim; root vegetables are sweet enough to eat once excess carbohydrates are stored there; and flowers bloom and evoke beautiful perfumes once they have been properly pollinated. Giving from a place of abundance is pure, effortless, and devoid of ego. It is the natural flow of the universe. However, giving from a place of lack, when we have not properly nourished ourselves, can quickly become corrupted with ulterior motives such as ego gratification, inner coercion, and self-consciousness. This kind of giving comes from a place of control – a need to feel powerful and secure. Receiving, on the other hand, means relinquishing control, surrendering to the universe, and exacting a great deal of trust. Receiving deeply and profoundly is a spiritual activity that requires us to align ourselves with what we would like to manifest. Contrary to popular belief, receiving is very much intentional. In order to receive, you have to intend to receive. Before asking the universe for what you want, try asking yourself what you are truly capable of receiving – the answer might shock you! Receiving requires humility. While western society often equates abundance with money, eastern philosophies such as Taoism actually consider leisure to be the essence of abundance. Consequently, in order to enjoy leisure, one must have the time to do so. Thus we have the age-old dichotomy of time versus money, and in our society we are conditioned to believe that these two are mutually exclusive. This assumption is at the root of many beliefs around the generation of income. Perhaps most pervasive is the notion that we must sacrifice our souls (or our ability to engage in soulful leisure activities) in order to make money. We must also examine our limiting beliefs around generating income. Beliefs such as these: “I must struggle to survive”; “I must give away my time, money, energy in order to be a good person”; “the system is against me”; “making money is hard work”, and so on. These ideologies are part of Chiron, the wounded healer archetype. In Greek mythology, Chiron was a highly gifted healer who was unable to heal himself. It was only when Chiron finally surrendered his life (a metaphor for any limiting belief that you hold) that he was able to free himself from his suffering and finally heal. There is a mystical aspect to generating financial wealth in an abundant way – that is in a way that also nourishes your soul in the process. Journaling, visualizing, conducting rituals, and maintaining gratitude boards are powerful ways to assist you with manifesting what you want to create. However, these must be used in conjunction with other practical tools such as business plans and financial tools, which, like plant roots, serve to anchor your vision in tangibles. Roots protect and maintain plants by launching their own series of chemical defenses in the face of stress or damage. Likewise, in order for our livelihoods to grow, we must employ financial tools that help us respond to both the short-term and long-term needs of our business. As the saying goes: “Prepare yourself for success and you will get success.” These tools include conciliations (intakes), ratios (diagnostics), and budgeting & projections (treatments). A financial conciliation is essentially like a health intake form. You’re collecting information and dealing with the facts. The easiest way to do this is by cross checking every transaction on your bank statement with your financial records to ensure that every withdrawl (accounts payable) has been accounted for (for example, all the checks you’ve written have been cashed), and that every anticipated deposit (accounts receivable) has been received and processed. Next, you will need to employ ratios to diagnose the situation. Like any health assessment, multiple ratios are often used to come up with a conclusive diagnosis. A business mentor of mine once told me that he could assess the state of any business by calculating a few ratios. For example, the ratio of sales versus expenses will ultimately determine how profitable, or healthy, the business is. If sales are good, then one would naturally assume that the state of the business is good, however if expenses are also very high, then the net profit will ultimately be low. Ratios show you the actual state of your business without the rose colored glasses. Finally, budgeting and projections, or the treatment protocol, can be developed. Budgeting involves listing all of your actual bills and payments, whereas projections involve listing your anticipated bills and payments. The easiest way to keep track of these is with an excel spreadsheet. Budgeting helps you ensure that the most fundamental bills and payments are always prioritized, and allows you to monitor how you are spending your resources. Projections are based on the money that you anticipate your business to generate in the future. You can make projections monthly, quarterly, yearly, and so on, however, it’s important to anticipate sales at least four weeks into the future. Projections are necessary in order to plan ahead, and will ensure that you have the adequate resources to pay your suppliers on time. Projections also prevent you from overspending, which is extremely easy to do when you’re excited about the supplies you’re buying. Herbalists are poised to create and grow some of the most visionary businesses imaginable. However, we must first care for our financial needs by addressing our core and limiting beliefs around the generation of income, and implementing the necessary tools that will enable our businesses to thrive. This will allow us to generate deep and powerful roots as herbalists – roots that are capable of nourishing entire communities. Laurence G. Boldt. The Tao of Abundance: Eight Ancient Principles for Abundant Living. New York, 1999. Thank you. This was very inspirational, and I found it just at the right time. I’m printing it out and keeping it close to hand. Well said all around! 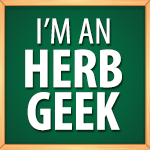 A great article that I will share with other herbalists! 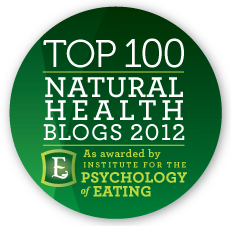 Lindsay – thank-you so much for reading and sharing. It’s very much appreciated! Lovely how you pull this all together! Thank you! My pleasure Karen! I’m happy you enjoyed it!! Thank you Melanie. This discussion is much needed in our herbal community right now. Gratitude for the heartfelt article. Thank-you for such a lovely response, Emily. I’m so glad this resonated with you as well.